Aviation training center Baltic Aviation Academy (Lithuania) signed the memorandum of understanding with PT. Bandara Praniagatama (Indonesia) regarding aviation training services in Indonesia. According to the document signed on 26th of January Baltic Aviation Academy and PT. Bandara Praniagatama will cooperate on adjusting training programs’ packages for Indonesian market, preparing and organizing marketing events in Indonesia in 2013 and fulfilling other civil aviation activities. PT. Bandara Praniagatama is an Indonesian company highly experienced in the field of aviation services and works with Indonesia Air Force (TNI AU), Garuda Indonesia‚ Lion Air, Merpati Airlines, Royal Malaysia Air Force (RMAF), Republic of Singapore Air Force (RSAF) and many others. ‘Baltic Aviation Academy has a strong focus to develop its business activities in Indonesia. We are glad, to become business partners with PT. Bandara Praniagatama. We believe that strong local player, with their network and partners in the background will help us to achieve set goal – to provide high-quality aviation training services for Indonesian airlines and private individuals’, current cooperation comments Egle Vaitkeviciute, the CEO of Baltic Aviation Academy. 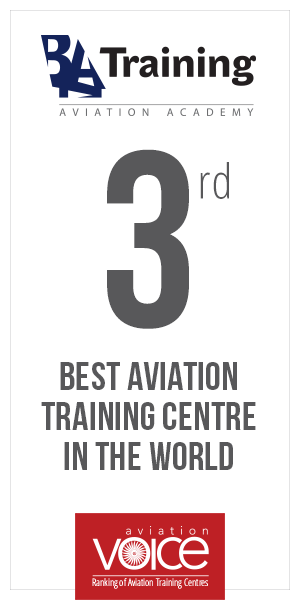 Up to this date Baltic Aviation Academy has trained more than 15,000 aviation professionals. In Indian subcontinent Baltic Aviation Academy works in partnership with Aviacom Inc., Ligare Voyage Ltd. and Omni Aviation Services. In addition to that, the parent Baltic Aviation Academy’s company Avia Solutions Group in 2011 opened its representative office in Kuala Lumpur, Malaysia.